The Flap Wheel is the ideal choice for a variety of blending, deburring and finishing applications commonly found in metal fabrication, welding and polishing industries. 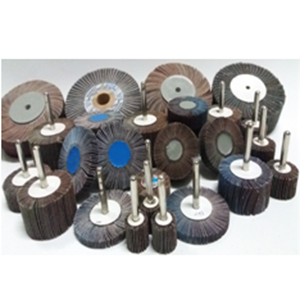 Flap Wheel is available in various sizes and is widely used in industry. 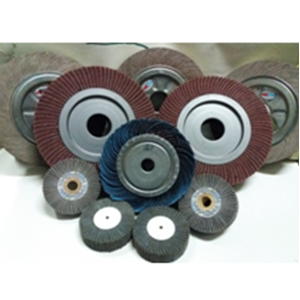 Some functions of the Flap Wheel include: for the smoothing process, refining the results of welding, refining the results of casting and repairing the results of painting. Flapwheel is an abrasive disk, which is used for metal finishing. Unlike simple flat disks, made of circular flat sheets of coated abrasives, flapwheels are made of several overlapping pieces or 'flaps', bound to a central hub. * Size can be customized by order. 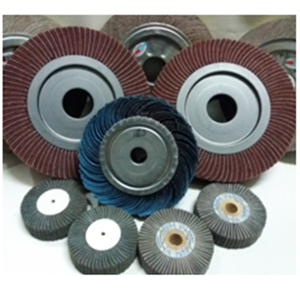 In addition to Flap wheel, we also provide various types of other sandpaper. Flapwheel Scotbrite sdalah The combination of abrasive disks with scotbrite, which is used for metal finishing. Besides Mounthed Wheel, we also provide various kinds of other sandpaper. Buat Permintaan Untuk "Flap Wheel"